The lawsuit filed in U.S. District Court alleges Justine Ruszczyk Damond’s civil rights were violated when she was shot July 15, 2017, by Officer Mohamed Noor, who has since been fired and charged with murder in Damond’s death. It claims Noor and his partner that night, Officer Matthew Harrity, conspired to cover up facts surrounding the shooting and made a conscious decision not to activate their body cameras. City Attorney Susan Segal said in a statement that the city was reviewing the lawsuit, and that it’s important the criminal case against Noor be allowed to proceed without interference. Noor’s attorney, Thomas Plunkett, has said previously that Noor acted as he’d been trained. Prosecutors say the 40-year-old life coach had called 911 to report a possible sexual assault in the alley behind her home. Noor responded with Harrity, who was driving. Prosecutors say Harrity told investigators he heard a voice and a thump on the back of the squad car, and glimpsed a person’s head and shoulders outside his window. Harrity told investigators the officers got “spooked” before Noor fired. Noor hasn’t spoken with investigators, invoking his constitutional right against self-incrimination. The lawsuit alleges Harrity’s account of what happened changed after he spoke with an attorney. Bennett said both officers committed an “overt act of conspiracy” when they decided not to activate their body cameras. The use of body cameras was low agency-wide at the time of the shooting. 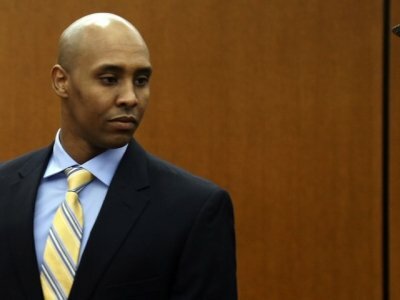 Shortly after Damond’s death, police Chief Medaria Arradondo changed the department’s policy to require more use of body cameras, and enforce discipline. The lawsuit also alleges that the Police Department routinely has failed to discipline officers who changed their stories to “protect one of their own.” It notes that numerous police officers didn’t cooperate in this case.